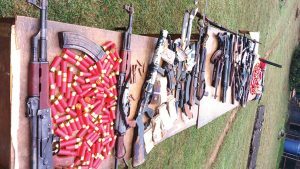 By Sadiq Umar – The Presidential Committee on Small Arms and Light Weapons (PRESCOM), says over 7,000 illegal weapons have been destroyed in Nigeria. PRESCOM’s program coordinator, Orji Dickson explained that an arms destruction exercises conducted in three locations led to the destruction of over 640 weapons in Benue, over 625 weapons in Katsina and 5,970 weapons in Zamfara. “Collectively we have destroyed close to 7000 weapons across Nigeria,” he said. Mr. Orji revealed this at the opening ceremony of the TOT Course on Physical Security and Stockpile Management (PSSM) organised by the United Nations Regional Center for Peace and Disarmament in Africa (UNREC) and the Presidential Committee on Small Arms and Light Weapons (PRESCOM) on Monday in Abuja. He noted that the training will enhance the capacity of the Nigerian military and para-military in effective stockpile management to combat proliferation of arms across Nigerian borders. 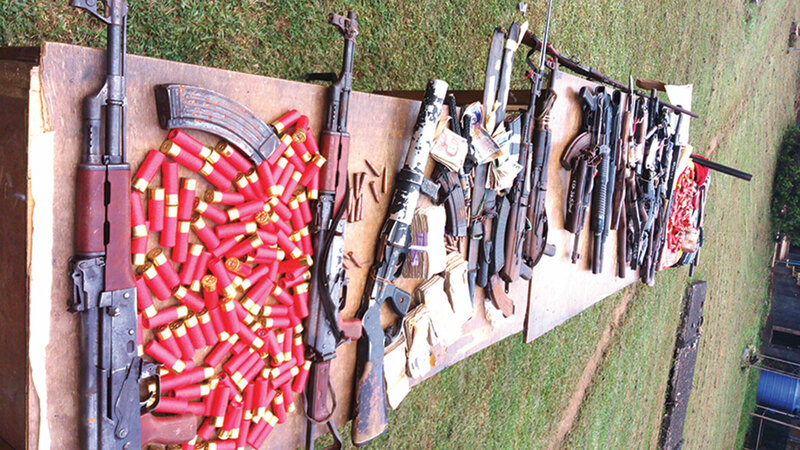 Mr. Orji notes that the ‘staggering” quantity of illegal arms in circulation in the country was alarming. He therefore tasked state governments to begin disarmament programmes in their various states to encourage civilian disarmament, because according to him most weapons that are illicit are in the hands of civilians and non-state actors. He said the 10 states that have so far indicated interest are: Zamfara, Sokoto, Kebbi, Kaduna, and Katsina, Akwa Ibom and Cross River, Rivers Imo and Benue. He warned that civilians and non-state actors who possess arms for protection or livelihood are only endangering their lives further, urging them to voluntarily disarm themselves in exchange for other alternatives. He said in order to further encourage civilian disarmament, PRESCOM in partnership with the ECOWAS EU small arms project will provide alternative means of livelihood. The Political Affairs Officer, UNREC, Rumongi Jean Bosco said that the TOT was designed to provide security agencies with the necessary tools mainly operation and administrative standard, to achieve international standard on stockpile management. He also assured that UNREC will continue to support Nigeria in the fight against illicit arms and light weapon.